Ok, so I know I said my last dessert for the summer was when I made the Tiramisu, BUT, I had a good reason to make these tart and sweet bars for a picnic that my sister-in-law and her husband invited us to at the Chastain Park Amphitheater where Atlanta Symphony Orchestra was playing. It was an enchanting evening – a very cool experience indeed. In addition to the dessert I made a Couscous salad that was very very good. 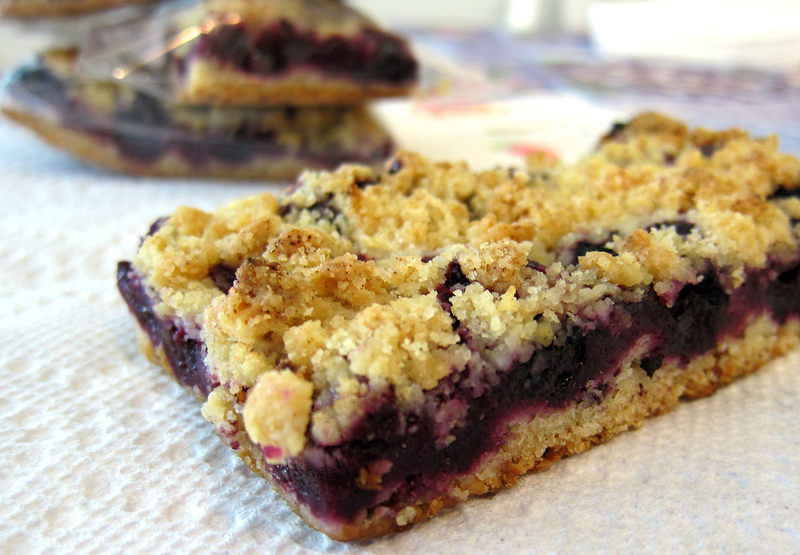 Everyone raved about my dishes, I hope you enjoy these blueberry bars as much as we did. To make the Crumb: In a medium bowl, combine the flour, sugar, baking powder, and cubes of butter. Use a fork or your hands to work in the butter, add the egg (the dough will be crumbly). Press half of dough into the prepared baking pan. To make the Filling: In a separate large bowl, mix the sugar, cornstarch and lemon juice. Gently fold in the blueberries to coat evenly with the sugar mixture. Spread the blueberry mixture evenly over the crust, drizzling any excess juice in the bowl over the filling. 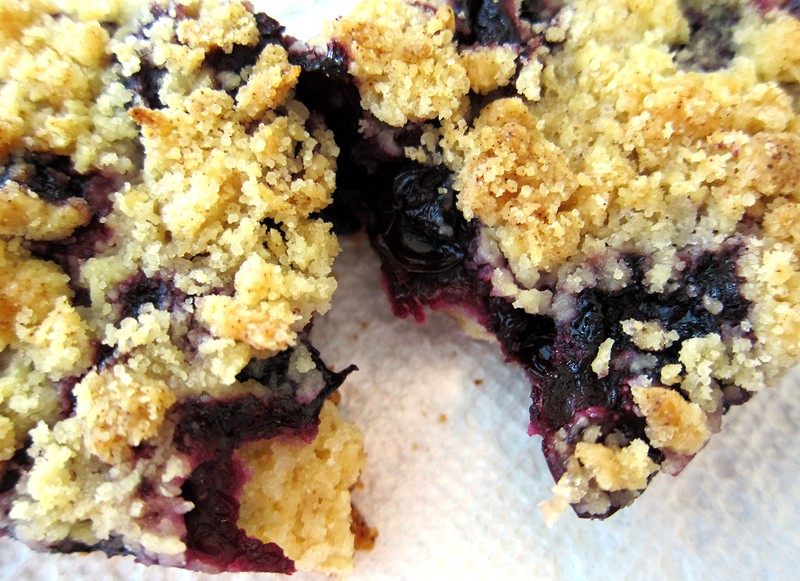 Crumble the remaining dough evenly over the blueberry layer. Bake for 45 to 50 minutes, or until the top is light golden brown. Cool completely before cutting into squares.